A few of us spent the afternoon at the University of Alaska, Anchorage Student Union Hall. The hall was lined with many well meaning non-profits of all types. 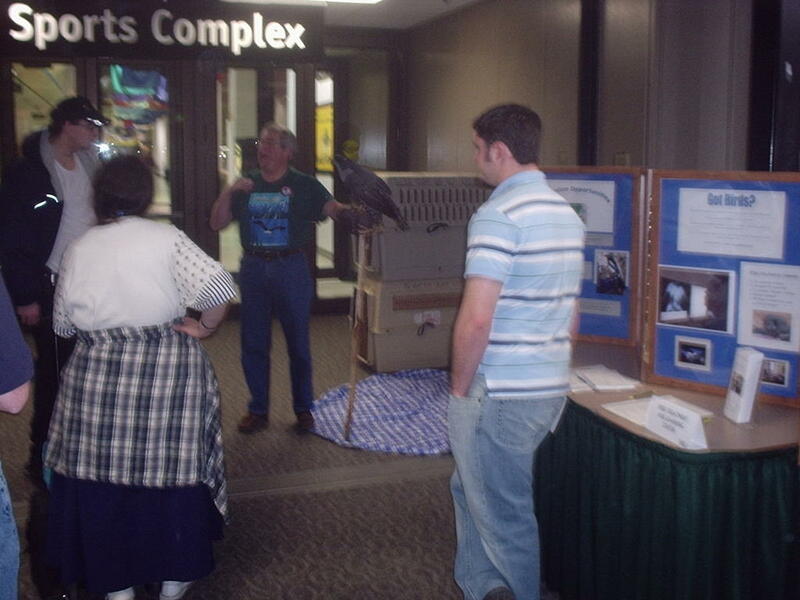 I do believe the Bird TLC exhibit drew the most attention with the help of a few of our feathered friends. Ruth was there with the rough legged hawk known as Jasper and Ron was there with the northern goshawk known as Gos. Also, there were helpers not presenting a bird, Cindy & Melissa Palmatier and myself. We made as many students that showed interest aware of who Bird TLC is and what volunteer opportunities are available. Right now we have a handful of UAA students volunteering at Bird TLC. Here's hoping we add a few more. On a personal note, today is my brother Larry's 55th birthday. He and his wife Annie live in Union Bridge, Maryland. Happy 55 Bro.